When booking a holiday, a non-refundable deposit of 20% will be required immediately in order to secure a booking. One calendar month prior to your holiday arrival date, your balance will be due. It is on the onus of the main party member to ensure that the balance is paid on or before the due date. If a balance is not paid Wight Coast Holidays reserves the right to treat the non-payment as a cancellation. If a booking amendment is required then a £30 administration fee will be applicable. This includes but is not limited to moving the date of your booking. All bookings must be accepted by us (Wight Coast Holidays) and are subject to these conditions which are deemed to have been accepted in full by the hirer and all persons in the party. Provisional bookings online, by telephone or email can only be held for 24 hours without payment. Wight Coast Holidays may request details of all persons in your party including names and ages. A booking is only confirmed on receipt of payment of your deposit. Online, telephone and email bookings are not confirmed until receipt of postal or email confirmation from Wight Coast Holidays. Wight Coast Holidays may refuse to accept a booking if necessary. It is the responsibility of the person booking the holiday to notify Wight Coast Holidays if any such confirmation has not been received within 7 working days. Upon receipt of the booking confirmation it is the responsibility of the customer to ensure that all details are correct. It is the responsibility of the customer to thoroughly check the confirmation and to notify us immediately of any discrepancies, and in any case within 14 working days. 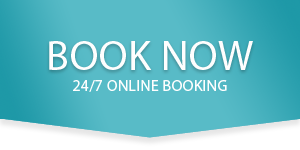 A booking whether by telephone, email or website, must be followed by a deposit within 24 hours. The deposit is equal to the sum of 20% of the total letting fee. Payment of the balance of the letting fee, must be paid to Wight Coast Holidays one calendar month before the holiday is due to start. Non payment by the due date if not previously agreed with us may be treated as a cancellation. Once a booking has been accepted and confirmed by Wight Coast Holidays, the booking can only be changed by requesting an amendment via email or letter. Where Wight Coast Holidays agree to the change in the dates of the letting, an administration fee of £30.00 must be paid by the hirer. Should you wish to extend your stay once you have arrived and the hired holiday home is available we require a minimum 48 hours notice and payment to secure the amendment. If Wight Coast Holidays makes a special offer to a holiday home in the same price band there will not be a refund in the price difference for existing bookings. The holiday home rental includes: The cost of water, electricity, gas, holiday let clean prior to arrival and use of towels/linen. Please note: items must not be removed from the holiday home during your stay. The holiday home rental price does not include any personal or holiday insurance nor cost of travel to the holiday home. We strongly advise that all customers purchase suitable insurance to cover their holiday. If you wish to cancel the letting you must notify Wight Coast Holidays in writing or by e-mail (Cancellation Notice). In the event of a cancellation any monies paid are non refundable. Therefore we strongly recommend that you take out Holiday Insurance with a third party. Holiday lettings are for a maximum of four weeks and commence at either 3pm or 4pm depending upon the property on the first day of the letting and end at 10am on the day of departure unless otherwise notified. The period booked cannot be exceeded unless Wight Coast Holidays give written approval. You will be liable for any cost of whatever nature incurred because of an un-authorised extension. The hirer is responsible for taking all reasonable care of the property and its contents. The property and all equipment, utensils, furniture etc. must be left clean and tidy at the end of the hire period. The hirer and members of the party are not permitted to smoke in the holiday home and are responsible for any breakages and damage to the property. The hirer is requested to limit noise between 9.00 pm. and 8.00 am to ensure local residents and other holidaymakers are not disturbed. Wight Coast Holidays or their subcontractors have the right of access to the property at anytime, with due regard to the convenience of the hirer, for the purpose of inspection of the property and to carry out any essential repair or maintenance work. Neither Wight Coast Holidays nor our representatives can be held responsible for any circumstances beyond our control including, but not limited to, mechanical breakdown, illness or failure of any public service supply. The hirer responsible for booking undertakes that no person will do anything to be done which would endanger the policy of the holiday home owner’s insurers in respect of the holiday home they have rented and its contents which might make the same void. Neither Wight Coast Holidays, nor our representatives, take any liability for personal injury, loss or damage to personal effects howsoever arising during the booking period. Under no circumstances may more than the maximum number of persons specified in the holiday home description occupy the property, except by prior written agreement with us. We, or our representatives, reserve the right to refuse admittance to the holiday home to the hirer and their party if they are in breach of this condition. All information supplied by us, and our representatives, is given in good faith and is based on information available at the time. All reasonable measures have been taken to ensure the accuracy of any statement made, but we, and our representatives, are not liable for any variation however caused. Key collection will be made available on arrival either at our office or via a key safe at the holiday home. You will be advised as to where to collect keys. In the rare event any complaints about the holiday home, or its contents, must be made in writing immediately to Wight Coast Holidays who will take all reasonable steps to settle the problem. Neither we, nor our representatives, shall have any liability for any complaint submitted after the completion of the rental period. The holiday home hire cost does not include any personal insurance cover of any kind. IT IS STRONGLY RECOMMENDED THAT CANCELLATION, ACCIDENT & MEDICAL INSURANCE COVER IS TO BE TAKEN OUT BY THE HIRER. Linen and towels are changed between lets. If for any reason beyond Wight Coast Holidays or the Owners’ control, the property is not available on the date booked, or the property becomes unsuitable for holiday letting, all rent paid in advance by you will be refunded in full and Wight Coast Holidays may cancel the booking. Where possible Wight Coast Holidays will provide you with four weeks’ notice except in extraordinary circumstances. If the notice period is less than four weeks Wight Coast will endeavour to find you alternative accommodation of an equal value or, at your request, refund to you any sums you have paid. You will have no further claim against Wight Coast Holidays or the Owner. Any dispute between us will be governed by the exclusive law and jurisdiction of the English Courts. he or she agrees to take responsibility for the party occupying the property. In case of a discrepancy between these terms and conditions and any other contents of Wight Coast Holidays, these conditions shall prevail. In the event of inconsistency between these terms and conditions and any other information regarding the holiday home, these terms and conditions will prevail. Wight Coast Holidays reserves the right to refuse entry or eject from the holiday home any persons, who in the Managements opinion are unsuitable, are not maintaining the upkeep of the properties to a satisfactory standard, found to be breaking the law or who causes nuisance or disturbance to other visitors or owners.